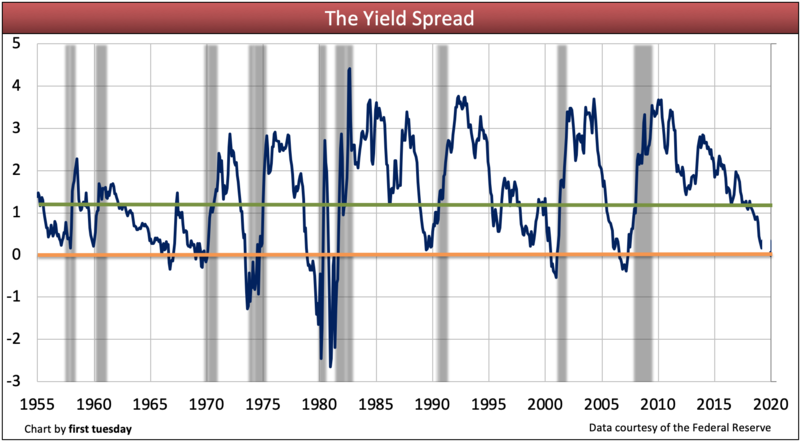 The yield spread indicates the likelihood of a recession or recovery one year forward. The spread equals the difference between the short-term borrowing rate set by the Federal Reserve (the Fed) and interest rates on longer term treasury notes, determined by bond market activity. This spread continued to fall in March 2019, averaging 0.17 points, quickly approaching negative territory. This is in-line with a long downward trend that began in 2014. The yield spread is at its lowest point since the 2008 recession as of March 2019. 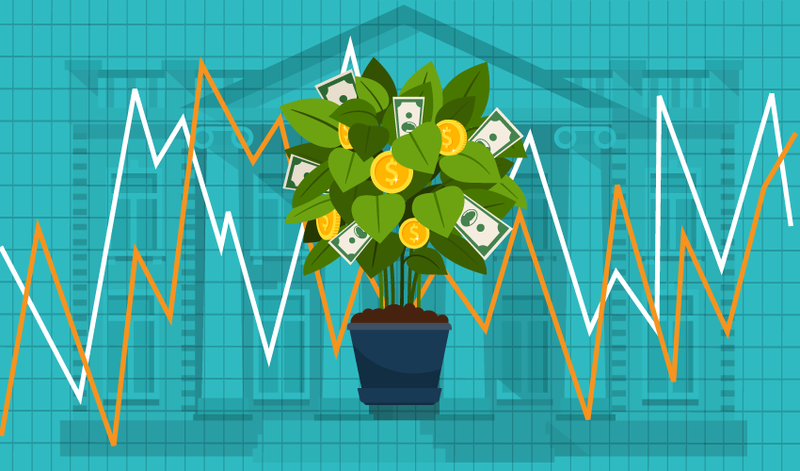 The spread continues to fall, the result of higher short-term interest rates stimulated by the Federal Reserve (the Fed) during 2018, and bond market investors seeing less future growth as the economy slows. While mortgage interest rates have fallen back in 2019, the Fed has kept their benchmark rate even, and investors continue to see less future growth in 2019-2020, causing the narrowing yield spread. This figure is expected to slip to zero around mid-2019, projecting a recession to arrive 12 months later, in 2020. Updated April 9, 2019. Original copy released March 2010. To you stalwart members of the real estate profession, a gift: the ability to forecast the probability of future recessions and rebounds, one year forward. This famed crystal ball is the yield curve spread, also simply called the yield spread. Don’t let the name yield spread put you off. It is not related to the deceptive yield spread premium (YSP) kickback mortgage lenders paid in times past. The yield spread reflects economic conditions as interpreted by bond market investors and Fed economists. To use the yield spread, all the layperson has to do is locate and understand what the current yield spread margin imports. That knowledge is provided to you in this article. the 3-month Treasury bill rate (or short-term rate) set by the Federal Reserve (the Fed). To make a profit on their long-term investments, bond market investors consider how the Fed’s monetary policy will impact future markets. These millions of private individual forecasts of future economic conditions are translated into a ready gauge for determining future market conditions – the wisdom of the crowd. the desired fixed rate of return on the investment in excess of the future rate of inflation, called the real rate of earnings. The second piece of information needed to calculate the yield spread is the interest rate on the 3-month Treasury bill. This interest rate is managed by the Fed as the base price of short-term borrowing, their primary tool for keeping the U.S. economy balanced. raise interest rates and slow economic growth to fight inflation and excess demands for labor. Collectively, the Fed’s use of short-term interest rates and other infusions and withdrawals of dollars to control the economy is known as monetary policy. Calculating the yield spread is simply a matter of subtracting the 3-month T-bill rate from the 10-year T-note rate. Generally, a low or declining yield spread indicates a less vigorous economy one year forward. This declining yield spread is a result of bond market investors seeing less future growth resulting from the Fed’s short-term rate activity and other economic interruptions or stimulus – the global economy’s relationship to ours. On the flip-side of an economic cycle, a higher or rising yield spread indicates a more vigorous future economy. While good for bond market investors whose actions are full-speed-ahead for profit, a too-high yield spread (and its resulting boom) poses a danger for consumer inflation. When this occurs, the Fed acts to curtail the growth of future jobs and stabilize consumer prices by raising short-term rates. An over-correction can potentially send the yield spread into low or negative levels. When the yield spread goes negative, or inverts, a recession follows 12 months later. Most recessions are Fed instituted to correct for economic distortions. the Fed raising short-term interest rates to correct inflation or loose market conditions. Sometimes even a near-inversion is enough to signal a recession. That crossover moment gives the real estate broker and agent another signal to adjust their conduct. At the crossover, agents can expect a reduced volume in sales (which will already be slipping), lending and leasing one year forward. 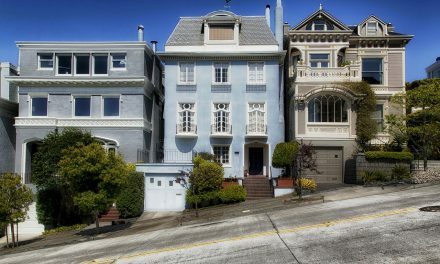 Then, in another 12 months, there will be a drop in prices, loan rates and rents, the delay resulting from the sticky price phenomenon brought about by money illusions of sellers and landlords. the red line tracks the yield spread from January 1955 through today. The yield spread dips below zero when the short-term rate rises above the long-term rate. This is the inversion point. +1.21 is the point for which the probability of recession begins, as assigned by Fed economists. Yield spreads smaller than 1.21% predict successively greater probabilities of recessions one year forward. In March, the yield spread was +0.17%, down from the prior month’s yield spread of +.26%. The likelihood of a decline in general business and real estate activities over the next 12 months is high as the economic slowdown continues. As the spread continues to approach zero, the next recession is imminent. Once the yield spread goes negative, expect the next recession to take hold about 12 months later. The last time the yield spread was negative was in late 2006 when it -0.205%, a portent of the 2008 recession. The negative spread in late 2006 predicted a 40% chance of a recession to take hold one year forward, around the end of 2007. Then in December 2007, we formally entered the recession. Now we are well into the expansion period of the recovery with employment rising and a low unemployment rate. However, while all jobs lost during the recession have been recovered, not enough jobs have been added to make up for the increase in the working-aged population since 2008. Each time since 1960 that the yield spread went negative we were in a recession approximately 12 months later. The Fed closely watched the yield spread in 2015 and kept the short-term rate low (essentially at zero). Their objective was to create an environment ripe for wage increases and steady consumer price inflation. In late 2013, the Fed began to wind down its program of quantitative easing (QE3) in response to an improving job market, and finally ended QE3 in October 2014. Nonetheless, it vowed to keep short-term interest rates low until the job market has fully recovered. However, the Fed finally increased the short-term interest rate by 0.25% in December 2015 and has since amped up its rate of increase. As a result of the bond market rates and the Fed’s short-term rate increase, the yield spread then started to decline. Real estate was a key player contributing to the excesses that brought about the 2008 Recession and the financial crisis. The yield spread was clearly decreasing in the years prior to the implosion of the real estate bubble. This condition does not now exist. The Fed’s concerted effort to raise short-term rates to lean against the excesses began mid-2004. However, it came too little too late, after allowing the market to go hog-wild for too long — an observation derived from hindsight. Now, the collective efforts of in-the-know real estate professionals will nurse the real estate market back to health. Going forward, more and more brokers and agents need to understand the workings of the yield spread as a gauge of the economy’s direction for the coming 12 months. Only then, with this insight, will the industry-wide frenzy to over-build, over-price and over-sell be tempered. Brokers and agents who track the yield spread will be given the foresight to shift their advice and spending routines before the changes in the market actually occur. 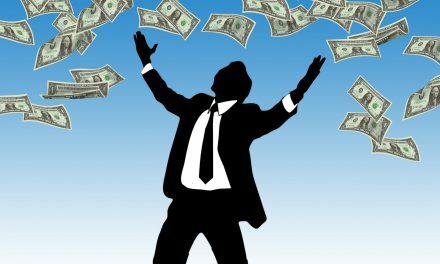 In doing so they will seek out recession-proof niches of real estate (such as real estate owned (REO) sales, or property management) in which to weather the storm. 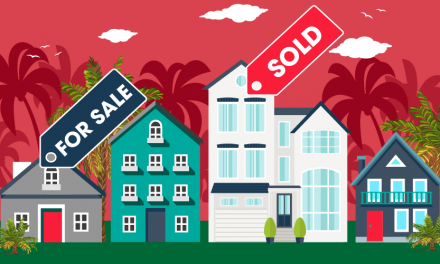 PreviousDoes a seller’s broker breach the fiduciary duty owed the seller by failing to disclose material facts that impact a property’s value? If the 10 year rate was at historical levels given our rate of growth in the economy, your recession indicator would be flashing green instead of red. Sorry to disappoint you, but it is different this time. No recession in 2020. “but it is different this time.” – Famous last words. SO,so many commentators. Real estate activity has always been a great indicator of the economy, first one going into the toilet and the first one to come-out Question, could any one tell us when will it happen?? It feels that we are already in a recession (perhaps stagnation), how long will it take?? will it be like in Japan – long slow death??. Lets remember the economic recovery was orchestated by the FED-keeping rates artificially low (yes, smoke and mirrors) and they have run out of ammunition while Congress and Executive Branches have been on vacation. Not sure what data you published in your graph, but the 10 year dropped below the 3 month in 1989 even though your chart doesn’t show that. It would inspire a bit more confidence if you chart agreed with the St Louis Fed’s data. Is there data that is more regional in nature, for instance, CA? Or, does it matter? Thank you for your question. The yield spread is a national figure and there is no state-level equivalent. As such, it forecasts U.S. economic conditions. California may see some variance from national trends. We dissect these differences in this article and elsewhere on this site. In the past you used to show past recession periods overlayed on the yield spread graph – can you please go back to that view as it’s very helpful to quickly identify the timing and length of past recessions. Thanks! Thank you for your suggestion, we are now including recession lines on the yield spread chart. 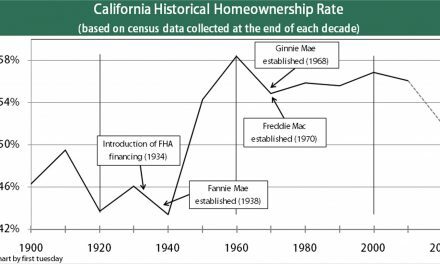 It would be much more helpful and insightful if your yield spread historical chart had the median sales price data of a single family house as well as the economic indicator of a recession overlayed on the same X axis of time. This would help to see if there are any correlations that can be used for predicting the housing market. On stock market web sites I’ve seen use of a yield spread between the 10 yr and 2 yr rates. Which is most commonly used, the yield spread you refer to (10 yr and 3 month) or this other one? Great input for Real Estate Professionals. It’s self soothing that this information tailors nicely to their needs. The reality is that RE Professionals need to sell properties and their best interest is not their clients. Many RE professionals would be more than willing to drive their clients off the ledge for a $6000 commission. Housing is growing at a rate greater then basic economic fundamentals. Subprime mortgages were blamed for 2008, Today issues though different will get the ball rolling in another RE crash. The only difference is Subprime Mortgages and Mortgage backed Securities. Homes are being bought with PMI and 3% down, and speculation will allow them to refinance out of the PMI, only if values continue. But even today, HELOC’s are starting to reset for people who bought and held during the Bubble 1 and this is added debt to an already stretched family who held onto their home, 56% are potentially resetting with higher, fully amortizing monthly payment. Would like to find out if E & O Insurance is required by law on Real Estate transactions. Broker and Agent can take risk independently ?? I don’t think E&O insurance is a legal requirement. It certainly is a practical one. Many of the larger companies “self insure”, meaning they collect money from their agents and then pool that money for defense, settlement and judgements. Small brokerages must purchase insurance to protect their company from legal challenges. However, if a brokerage has no assets to defend, they may choose to go naked with regards to E&O. You can find the bond rate data at the Federal Reserve Bank of St. Louis’ website. The 10-year Treasury data is found here , and the 3-month Treasury Bill can be viewed here. Where can i find this bond rate data since 1954? It pays to shop around for a mortgage refinance. Mortgage rates have gone down like anything. My brother in law just got a 30-year fixed loan at 3.76% He told me search online for “123 Mortgage Refinance” for the lowest rate. If predicting and investing was only so easy as a chart!! Anyway, there is something interesting in the graph. It’s heteroscedastic, with something happening in the boundary period of 1980-1982, perhaps the decoupling of the oil standard, I dunno, but post-82 it looks like a different world. Don’t look at the wiggly lines, look at the number and frequency of the intersections with the upper and lower control limits. I’d be interested in why more orange line interections pre-82. Looks like fewer intersections with the green line after 82 as well, greater variance (well, after 70 anyway), and higher median spread. It would be nice to see data further back. While Tom and Geo are right about being able to predict a downturn, if your in the business or you listen carefully to people who know the business well, most other people are either too swept up in the greed or don’t they pay attention to what’s going on around them. Anyway, the chart certainly seems to “presage” what happened. However, the chart shows a back to back recessions of 1980-82. being worse that the current recession, which everybody has been calling the Great Recession. Is there something wrong or is it just the measure you choose? For example, I’ve read that during the Great Depression (David Kennedy’s book “American in the Great Depression) unemployment was between 15-25% for most of the 10 years. During the 1973 period, during the oil embargo, it rose above 10%. How quickley we forget the past..
Tom is exactly on point. The current market was so obvious, it was all about greed. As a long time real estate broker, since 1974, I can say recessions are easily forecast by on the street personal experiences. This last one was so obvious.. we had three years or more of the lax oversight, the liar loans and influx of new agents poorly trained and not supervised. Yields can also create the situation where the loan broker ignores his client while making more money. It was and is fraud. I quit as I no longer could stomach the stench from so many greedy agents and brokers who just chase the buck and heck* with the professionalism. Great article on “Using Yield spread to forecast……….Unfortunately the links to previous articles, i.e.”Rate Page”, etc. would not open, I got an error message. If possible I would like to be able to read these references. I am interested in following this index, how do I find daily quotes, on line, for both the 10 year and the 3 month? Do I just need the Ticker Symbol? If so I would appreciate the Ticker Symbols for both the 10 year and the 3 month.